The ultimate sourcebook for interior design and decoration. This online directory is the leading website for interior design and decoration. The ultimate sourcebook for interior design and decoration. We scour the globe for unique and eclectic products that are as easy to live with as they are beautiful, each piece carefully selected for individually-minded customers who want to create a home with style and flair. More than 23 years of experience in the interior window shutter field. They offer measure, supply and installation services in London and surrounding areas. Contact their friendly team today. 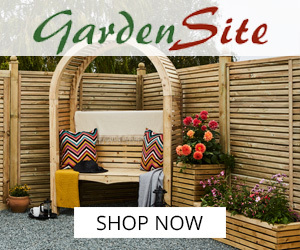 GardenSite sells over 12,000 garden products online, offering the perfect furniture, garden buildings, greenhouses and features to make the most of your outdoor space. Designed for modern living worldwide, TNESC combines traditional elegance with contemporary style. Manufacturing shutters, as a traditional joinery company, using time honoured methods and fine craftsmanship. Founder Antonia Graham has a passion for travel she continues to scour the globe to find decorative home accessories. Son Jamie, has inherited her fantastic eye for design and his love of 1930s, 40s and 50s style is a rich source of inspiration for their furniture collections. Everything you need to create a beautiful home with fantastic quality at really affordable prices. Stylish quality home furniture and accessories at affordable prices. Discover our range of quintessentially British luxury furniture and accessories. At Blinds 2go you have a choice of 1000's window blinds & curtains with which to improve and enhance your home or office. Crown Tiles are committed to offering the very best value for money for all products listed on their site. They have a broad selection of wall and floor tiles including natural stone and mosaic. The Dulux range covers everything from undercoats and primers to emulsions and gloss paints, suitable for a variety of surfaces. We offer stylish, beautifully designed, high quality clothing including womens, mens, boys and girls fashion as well as homeware and garden products. Clothes to live the good life. Practical, wholesome and stylish. Classic, soft and easy to wear..
We're your alternative homeware and lifestyle shop selling a highly curated mix of unconventional homeware, lifestyle accessories, tech, food, drink and gifts ‘with a twist’..
Never Knowingly Undersold: This has always been our guiding principle at John Lewis and ensures the quality, pricing and service our customers experience is always the highest standard. Plantation Shutters is the longest established independent shutter company in the UK and has been professionally installing window shutters in homes and commercial properties throughout London since 1982. Visit their brand-new showroom. We start by designing beautiful products to simplify your life, and finish by making them easier than ever to own in your own home.